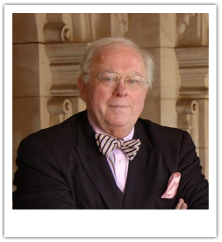 Kevin Starr holds a BA from the University of San Francisco, an MA and PhD from Harvard University, and a Master of Library Science from UC Berkeley. From 1994 to 2004 he was State Librarian for California. He is currently University Professor and Professor of History at the University of Southern California. Kevin passed away in 2017. "Kevin Starr masterfully draws our attention to the role of American Catholic non-fiction in the flowering of Catholic poetry and fiction in the United States during the dynamic but troubled twentieth century. Noting the rich and varied works of Catholic scientists and historians, publishers and philosophers, Starr suggests convincingly that these works provided texture and color to the literary imagination of Catholic novelists, poets and short story writers during that unique time. With the sure hand and rich palette that we have come to expect from the author of Americans and the California Dream, Starr conveys the atmosphere of American Catholic intellectual and cultural life as it was at mid-century." "A tour de force that creatively and comprehensively recreates the Catholic culture of the 50s."